We has processing and testing equipment like CNC cutting machine, sand blasting system, vertical and horizontal CNC lathe, planer milling machine, vertical boring machine, automatic continuous welding machine, CNC bending machine, CNC shearing machine, veneer reeling machine, 1200 tons of press machine, high speed dynamic balance correction machine, assembly test table etc. With sophisticated processing machinery and professional technical personnel, this company can produce super waste paper pulping equipment. The main series of the products are waste paper delivery, waste paper bale breaking and screening, waste paper pulping, heavy slag cleaning, screening, deinking, concentration, heat dispersion, pulping, mixing and pulp conveying etc. We provides customers high efficiency and practical pulp making production line with low carbon environmental protection thought. At present, our products have been sold to more than twenty provinces, cities and autonomous regions in domestic region and exported to Vietnam, Israel, Malaysia, Indonesia, Cambodia and other countries. 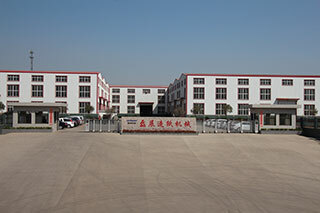 Leizhan Pulp and Paper Machinery Company is one of the most advanced and leading manufacturers in pulp and paper industry with excellent reputation for high quality product, perfect services and professional knowledge. Leizhan manufactures high quality pulp and paper machine with state-of-the-art technology and has made great success around the world. Service: Professional engineer team to provide you with professional advice and after-sales service. From production line & factory design to installation, commissioning and training, we can offer the complete turnkey solution. Quality: Leizhan products adopt first-class equipment production technology with ISO9001:2008 certification. Price: Reasonable price on high quality paper pulp equipment. Honesty: Make sure the promised things can be achieved, to treat all our customers with honesty and integrity. Global Customers: India, Indonesia, Iran, Egypt, Malaysia, Saudi Arabian, South Africa, Syria, Vietnam, Zambia, Argentina, Bengal, etc.